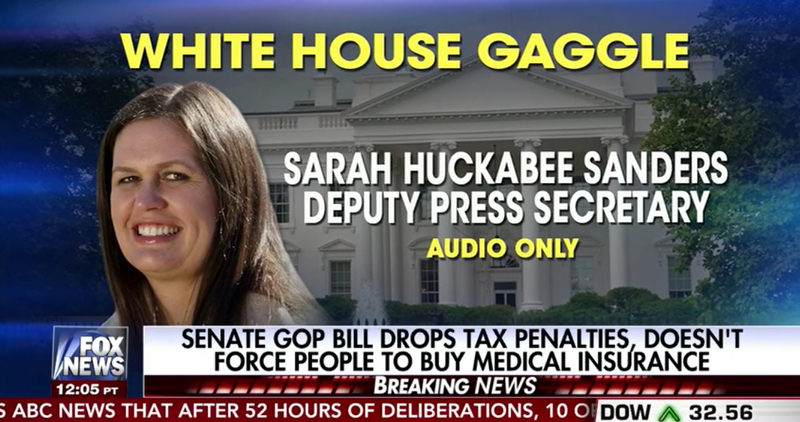 On Thursday, the White House again banned cameras and live audio from a press event, this one with Deputy White House Press Secretary Sarah Huckabee Sanders — forcing broadcasters to use mainly still images and B roll to accompany the sound bites they used. 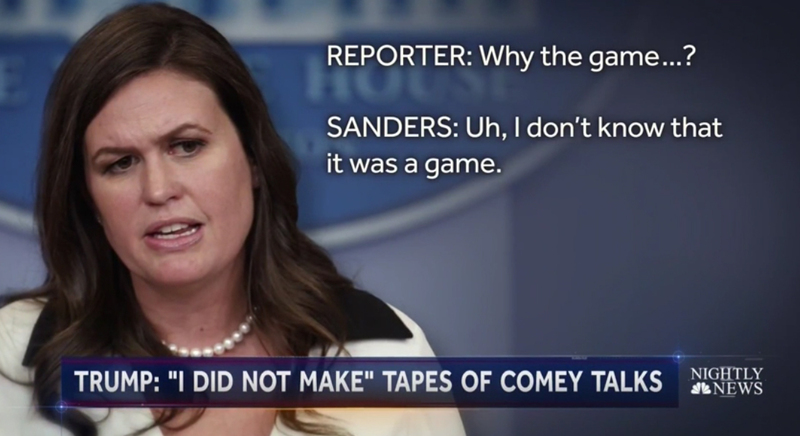 The graphic continued to identify Sanders and her title. 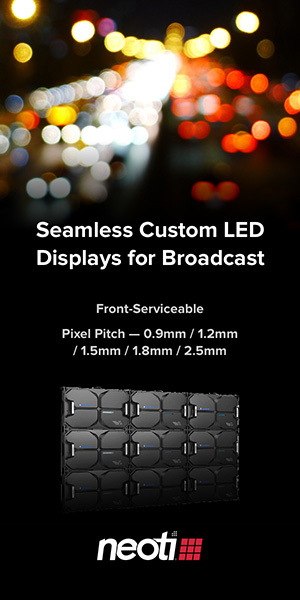 This design is notable for the emphasis it places on the fact that the press briefing was audio only. 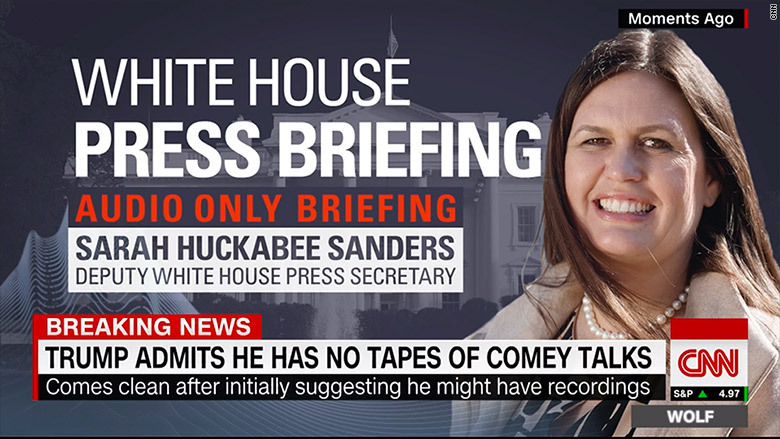 For Friday’s coverage, CNN teased the upcoming briefing with a bug explaining that the live briefing about to unfold could not appear on the network live. 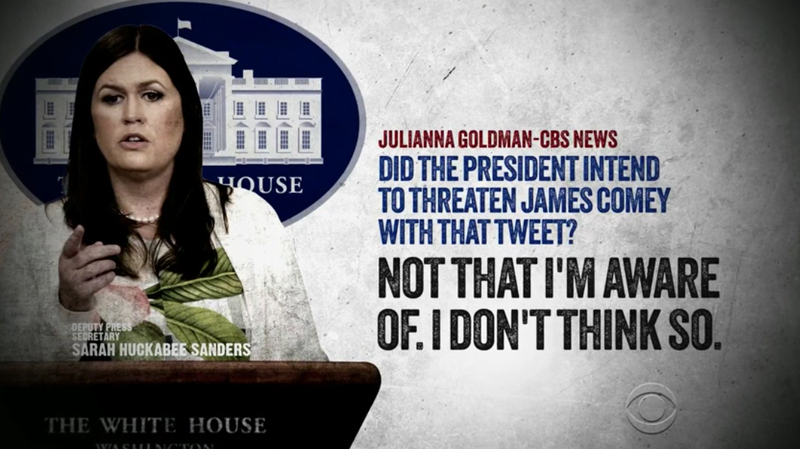 CBS News, on the “CBS Evening News,” used an image of Sanders at the White House briefing room lectern with the text of the questions and answers appearing next to it. The graphic sported a weathered, grunge like look and textures, giving it a darker and almost mysterious look. “NBC Nightly News” used a photo o Sanders at the lectern along with the transcript of the audio to the side. The broadcast also used a brief, stylized and slow motion clip of Sanders approaching the lectern during its report. 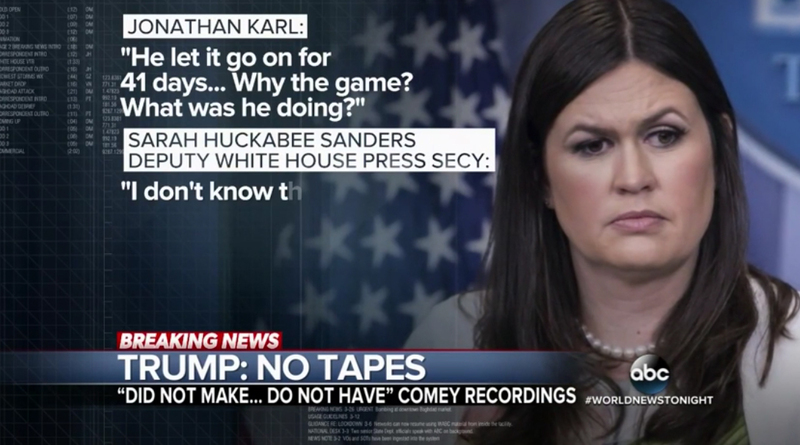 “ABC News World News Tonight” used a similar approach, though it opted to place the speaker’s names and, in the case of Sanders, her title in white boxes. Fox News, meanwhile, used a graphic that was similar to CNN’s, right down to using what appears to be an identical, albeit cropped differently, photo of Sanders.